Update: Microsoft Windows 10 build 16215 for PCs and mobile build 15222.0 is now available for download. 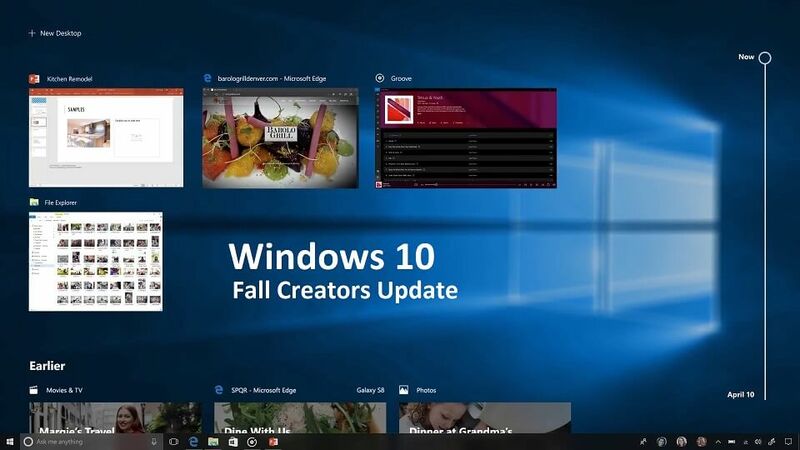 The new Windows 10 Fall Creators Update Insider Preview build brings new features, bug fixes, and other improvements. You can also download Windows 10 build 16215 ISO image files for fresh installation. Check out the changelog below. Update 2: Microsoft Windows 10 build 16215 ISO files are now available for download. You can download ISO files from here. Original story: Microsoft Windows 10 build 16215 for PCs is now under testing. The new Windows 10 Fall Creators Update build 10.0.16215.1000 (rs_prerelease.170603-1840) was compiled on June 3, 2017. The Windows Insider team is also testing Windows 10 mobile build 10.0.15222.0 (feature2.170601-1126). In addition, the company is working on Windows 10 update build 10586.962(Threshold 2), update build 14393.1358 (Anniversary Update) and 15063.400(Creators Update). These updates may roll out to end users on June 13. Recently, Microsoft accidentally released Windows 10 build 16212 for PC and build 16212.1001 for Mobile devices from the internal branches. The company quickly fixed the issue and pulled out the build. However, now more hidden details and features related to these builds are appearing online. Windows 10 build 16212 for PC revealed that three new Windows 10 versions are coming for Enterprise users. Also, the Windows Mobile build 16212.1001 includes CShell features and more. I go to see everyday a few web sites and websites to read articles, however this webpage provides feature based content.